Universal Orlando’s 2019 Mardi Gras Celebration kicks off this weekend (Feb. 9) with a live performance by English rock band, BUSH. Other top acts performing this month include multi-platinum singer-songwriter Gavin DeGraw (Feb. 16), chart-topping country music duo Dan + Shay (Feb. 17) and Grammy award-winning rapper, Macklemore (Feb. 23). 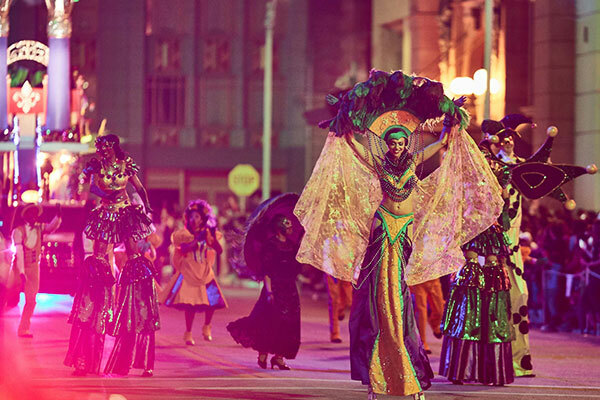 As part of the family friendly version of the renowned New Orleans celebration, visitors can enjoy a party animal-themed parade that will run nightly throughout the streets of Universal Studios Florida, as well as sample new and returning authentic Cajun cuisine available as a tasting size at the French Quarter Courtyard.